Experience Christophers, Jamaica’s unique fusion of European, Asian, and Indian flavors with local favorites like braised oxtail, steamed calaloo with Scotch bonnet peppers, and (of course) jerk chicken. Or sample one of Chef’s many creations, including pumpkin soup with toasted coconut, smoked marlin roll, and pimento-smoked beef tenderloin. The Broken Rudder offers a laid back, outdoor dining experience. Stop by for a drink, a light meal, or one of our Tapas Nights; Saturdays from 6p-11p. Chef Conroy does an amazing job at utilizing the foods grown on the resort’s property in everything he makes. There wasn’t a single meal that wasn’t delicious. The standard of food and service is excellent. My favourite meal was Mahi Mahi, cooked perfectly and presented as you would imagine in a top restaurant. Christopher’s is magic. Chef Conroy does a wonderful job with the menus. I was completely surprised by the prices. And the preparations were delicious with such a nice, local flare. His specials were amazing - like the broken lobster and the fresh Mahi Mahi. We even went back into the kitchen with him and watched him prepare a few items. He was so wonderful and thoughtful and always came out to say hello to us. "Prices, Dishes, Personal Attention from Chef"
Christopher’s kept us fed with delicious Jamaica favorites which we enjoyed in our suite, in the gazebo, and while watching the sunset from their oceanfront patio. The Ackee and Saltfish was on point, Jerked Chicken Wings sublime, and the Oxtails were everything. The restaurant staff at Christopher’s are always courteous and professional. The food is divine!! The menu is diverse and authentically Jamaican. While we’re certain you’ll love eating at either Christophers or The Broken Rudder, our staff can arrange a personalized culinary experience. Here are a few of our favourites. Don’t want to step away from your busy afternoon of relaxing on the beach? Don’t worry, order a burger, fries, and a Red Stripe and eat with your toes nestled in the sand. Looking for an memorable evening meal? 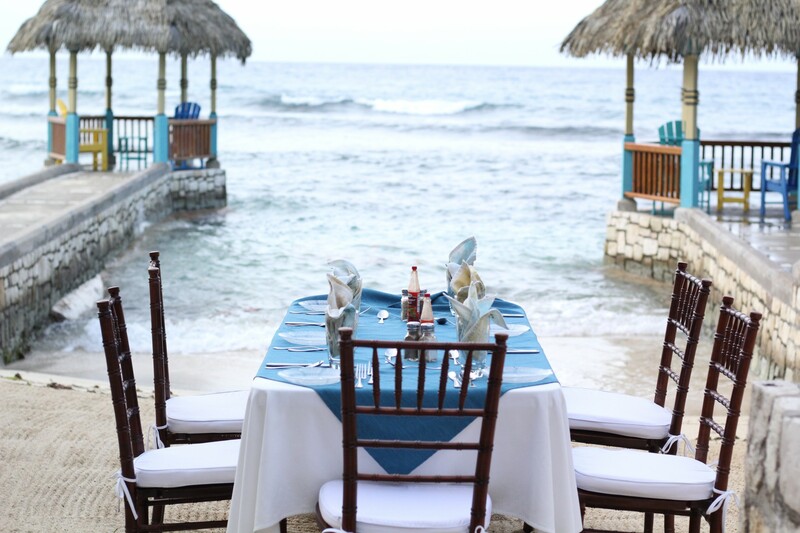 Try a table on the beach or in a gazebo while you watch the Jamaican sun set over the ocean. Perfect for couples or the whole family. Cooking is an art, something that needs to be shared. We of course want you to enjoy our food, but we would love for you to partake in the process as well. 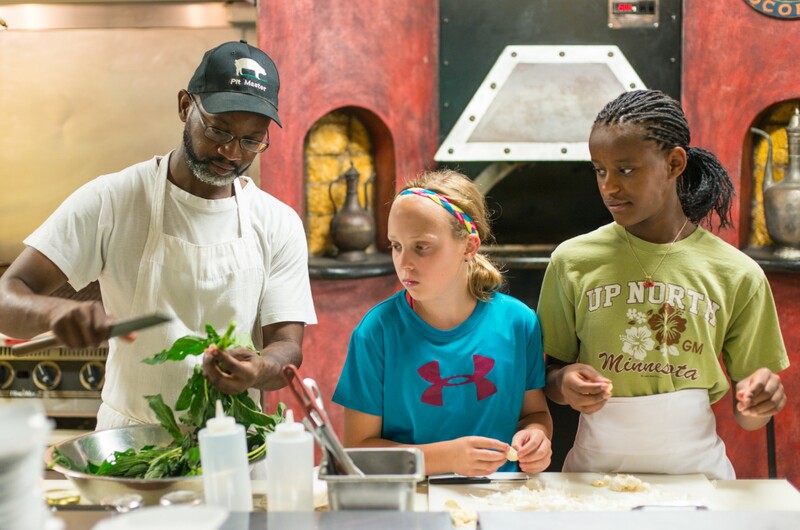 Let us know and we’ll let you plan, prepare, and plate your own meal as the chef teaches you the ins and outs of Jamaican cuisine. Prepare your own meals in a fully equipped kitchen. Our personal concierge can stock your villa with anything you like: bottled water, snacks, lunch ingredients, Red Stripe, an assortment of local rums… or how about ocean-fresh lobster and a Weber grill? Want in-villa dining without having to cook? Order meals from Christopher’s straight to your outdoor dining pavilion. For the ultimate in private dining, we can even arrange a personal chef for the day. 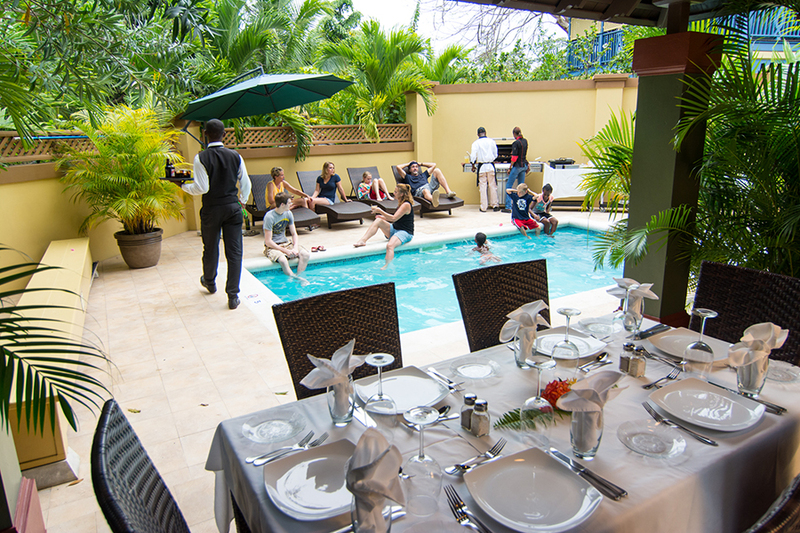 While we would love for you to eat with us every single meal of your stay, we also think it’s important to experience the Jamaican culture in full. So if you’re interested in a different authentic experience, here are a number of restaurants we would encourage you to visit.